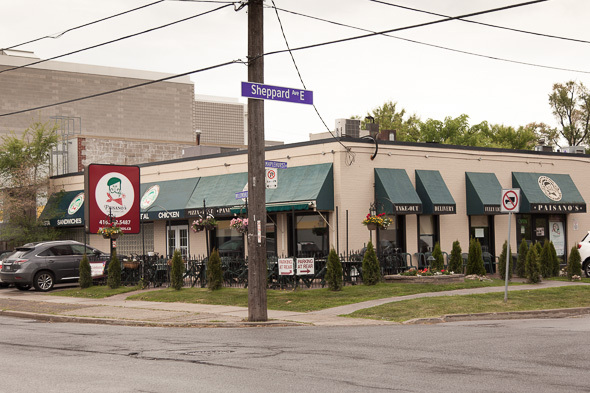 Paisano's has been slinging sauce and flipping pies since just before the last Stanley Cup Parade passed through our city, first opening in the tony Bayview Village mall before shifting west and setting up shop at Sheppard and Willowdale, in 2000. This under the radar restaurant has seen ownership change hands a few times in those five decades, but the overall focus and core menu hasn't budged since the move 15 years ago. First only occupying the corner, they quickly sprawled into the adjacent auto mechanic spot next door, creating two distinct spaces that even though they underwent a few renovations, still feels like divided dining rooms. No one can dispute that 50 years is an achievement for just about anything, but owning a restaurant in Toronto for that long is almost unheard of. Front of house spokesman Jesse Grespan attributes Paisano's success to honest, good, hard work and creating loyal customers that treat this space like an Italian version of Cheers. Most of the lunch time crowds are regulars from neighbouring office towers, and the busy dinner rush is mostly families, some of whom look like they may have been around when they first opened 50 years ago. Sauces and pizza doughs are all made in house, as are two of their seven desserts (the Tiramisu and CrĂ¨me Brulee), but fresh pastas are left to the pros and brought in daily. The giant menu sticks to mostly Italian roots, with a decent selection of vegetarian and gluten free pastas to round things out. 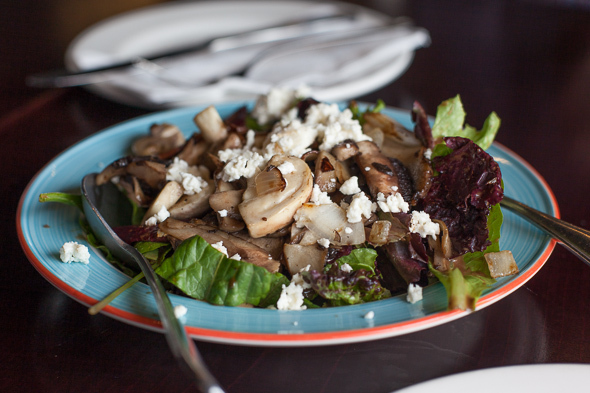 Branching out from the usual Caprese salad, the Small Portabella Salad ($7) brings warm mushrooms, sautĂŠed onions and chunks of feta together for an earthy dose of veggies. Bit of a shame that the mighty mushroom was chopped up and unrecognizable, and goat cheese would have been a better partner than funky feta. 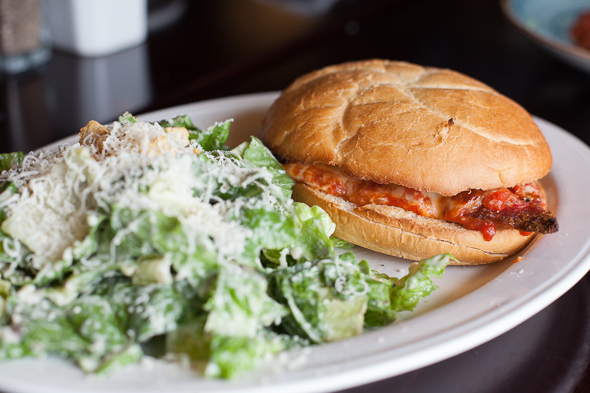 Only available on the lunch menu is the Veal Sandwich ($12). A paltry veal portion is beaten into submission and properly tender, but missing the multiple layers of meat required to make this sandwich worth the caloric intake- like the much better (and cheaper) version at California Sandwiches . Lasagna ($13) is a safe bet, with layers of pasta, ground beef, ricotta and mozzarella cheeses all nestled into a giant platter and smothered with sweet tomato sauce. Make sure to up the cheese factor with tableside parm and a heavy hit of fresh ground pepper. Chicken Carbonara ($16) is a standout. 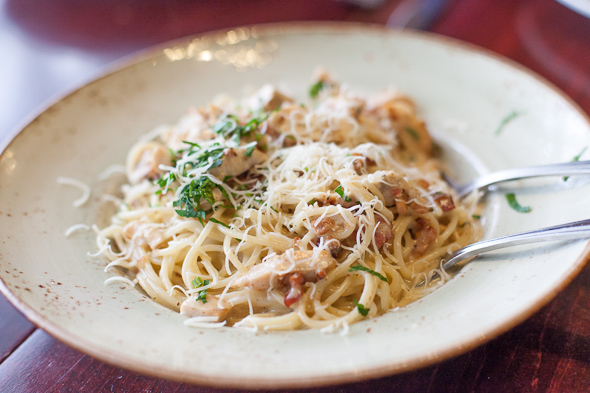 A generous chicken breast comes tossed in a bacon studded cream sauce, resting on al dente spaghetti. More parm and pepper bring balance to the rich creamy alfredo-esque sauce. Pizzas at Paisano's aren't cooked in a fancy oven; here gas does the trick pretty well. There are 12 pies on offer, but don't be shy to go off the set list and create your own with over 30 toppings to choose from. 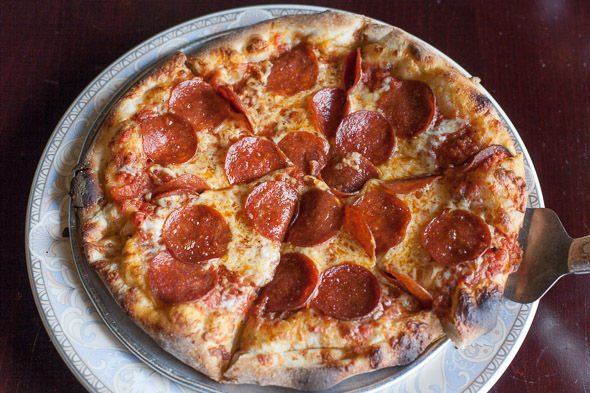 The standard Pepperoni ($12) sufficed, and came out blistering hot and bubbled up in all the right places, with enough pepperoni to sate even the meatiest of carnivores. 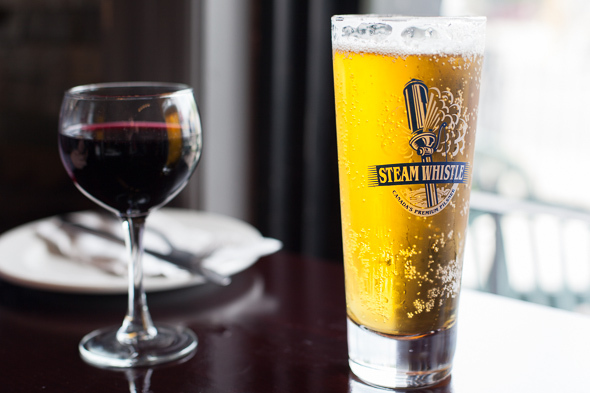 A full bar menu helped quaff back all the carbs, with both Creemore and Steamwhistle ($7) on tap. Wines come by the glug glug litre, half litre, bottle, or glass with most vintages coming in from Italy and Australia. 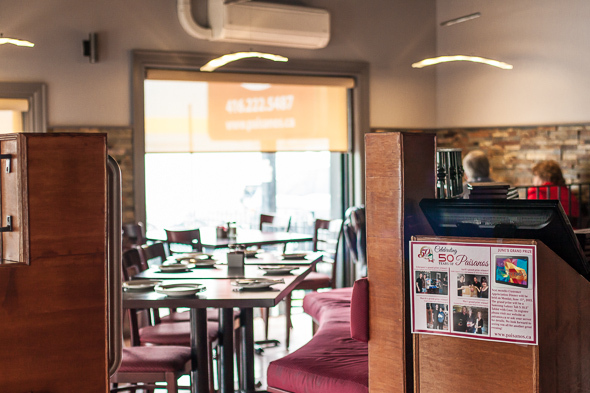 Paisano's is fully wheelchair accessible and offers takeout and delivery.